As you already know freight shipping is a process of transporting cargo by land, rail, sea, or air. But what do you know about the cost of freight shipping, calculators, and quotes provided by freight companies? In this blog post, let’s take a closer look at these critical elements of the freight shipping industry! First of all, it is important to note that whether it comes to shipping freight by land, sea, or air, each mode of transport has its advantages and disadvantages. For instance, while land transportation is the most flexible and affordable method of delivering freight, you cannot use it to ship your possessions overseas for an obvious reason. On the other hand, air transportation is the best way to ship cargo quickly and efficiently to almost anywhere in the world, but it is also the most expensive method of international shipping. Moreover, it is not suitable for transporting heavy and very large items. In such a case, the only option is to transport your cargo by sea, though it takes much more time. Anyway, before making any decision, most likely you want to know the land, sea, and air freight shipping rates. 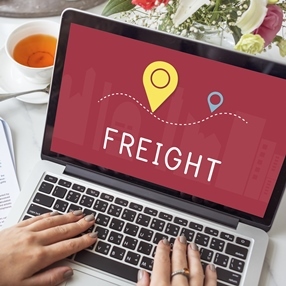 When it comes to the cost of freight shipping, calculators and quotes can give you the answer. For example, at Fine Art Shippers, we offer free shipping quotes that can be requested right from this website, while many other crating and shipping companies offer online calculators as the means to establish the cost of freight shipping. Calculators are indeed a very convenient tool that can provide you with the information you are looking for in just a minute or two, but, unfortunately, they are not as accurate as shipping quotes requested directly from freight companies. As a result, you still need to contact freight shippers in order to know the exact cost of the shipment. In other words, if you are only beginning your search and want to investigate the cost of freight shipping, calculators are a good option for you. However, if you are interested in an accurate estimate of the shipping costs, it is better to request a quote right from freight shippers. Moreover, at Fine Art Shippers, we offer our clients to do it online by filling in a special form, or you can always contact our team via phone or email if it is more convenient for you!